Mom these Black Eyed Peas are for you! - Canning Homemade! Home » Beans » Black Eyed peas » Mom these Black Eyed Peas are for you! Mom these Black Eyed Peas are for you! Growing up my mom was always cooking things that she grew up with which was a melting pot of the south with some incredible gourmet recipes she found along the way. I always knew that there were foods that I was eating that many of my friends growing up would either never have an opportunity to try or would absolutely never put in their mouths. One of those foods were Black Eyed Peas. My mom used to serve them to us with malt vinegar on the side but any way you serve them they are really quite a different flavor from all the beans I have ever had. But I do love them! The black-eyed pea, also called black-eyed bean is a subspecies of the cowpea and are easily recognized by it is pale-colored with a prominent black spot. Tonight I finally pulled out the Pressure canner and put together a small batch of Black Eyed Peas. Last night I rinsed and put the beans in a pot to soak in clean water overnight. When I got home this evening from work I got to work setting up the canner and preparing the beans(peas) to get into jars. I used the basic bean canning recipe but added some onions, black peppercorns, and some dried herbs. They look great and all the lids pinged. 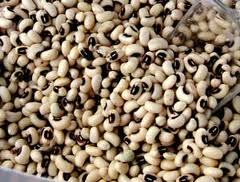 So for all those friends who don't like Black Eyed Peas... more for mom and me! I used 1 1/2 lbs of dried Black Eyed Peas. I sterilized 3 pint jars. Rinse and soak beans overnight. Pack beans using a slotted spoon into the hot pint jars leaving 1 inch headspace. Add 1/2 teaspoon kosher salt, 2 Tablespoons diced onions, 10 peppercorns and 1/4 teaspoons of dried herbs of choice to each of the jars. I used a Bouquet Gani which is salt free and is a blend of savory, rosemary, thyme, Turkish oregano, basil, dill weed, marjoram, sage and tarragon. I purchased the the herb blend through penzey's website (www.penzeys.com). Ladle hot cooking liquid over beans removing air bubbles and add enough to fill to 1 inch headspace. Clean rims, add lids and rings. Process pints at 10 lbs in pressure canner for 75 minutes. 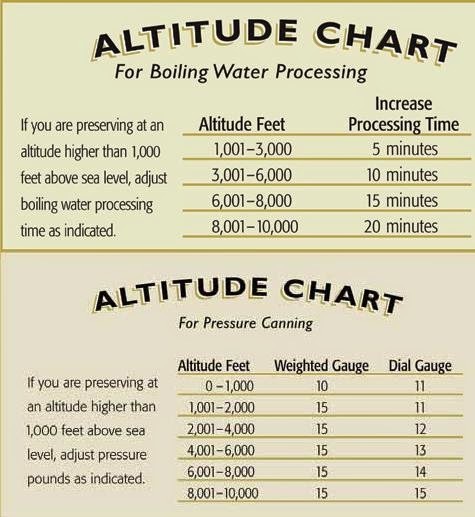 Please check for adjustments for higher altitudes at the bottom of this website.